I was pleased to host ‘A Night of Scottish Musicians in Holyrood’ at The Scottish Parliament last night (Wednesday 7th October). The event aimed to encourage more support from Holyrood for young musicians in Scotland and was held in partnership with UK Music. There were two fantastic performances from Laura Riganti and the Edinburgh School Rock Ensemble. It was great to have my Scottish Labour Party colleague Claire Baker MSP at the event and I’d like to wish both acts all the best in the future. 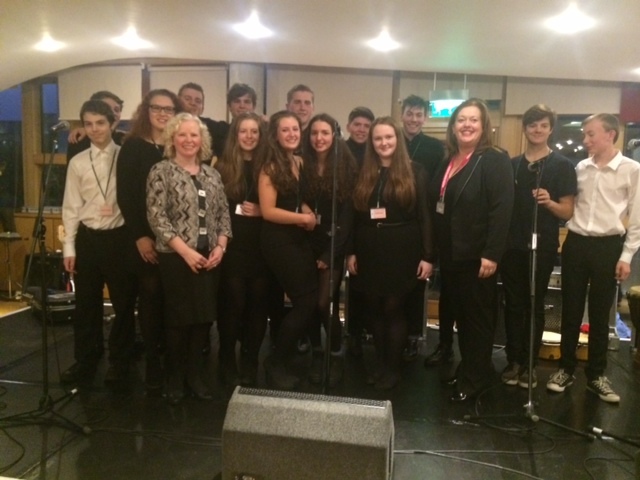 This entry was posted in Culture, Music and tagged Anne McTaggart MSP, Claire Baker MSP, Edinburgh School Rock Ensemble, Laura Riganti, Scottish Parliament, UK Music. Bookmark the permalink.